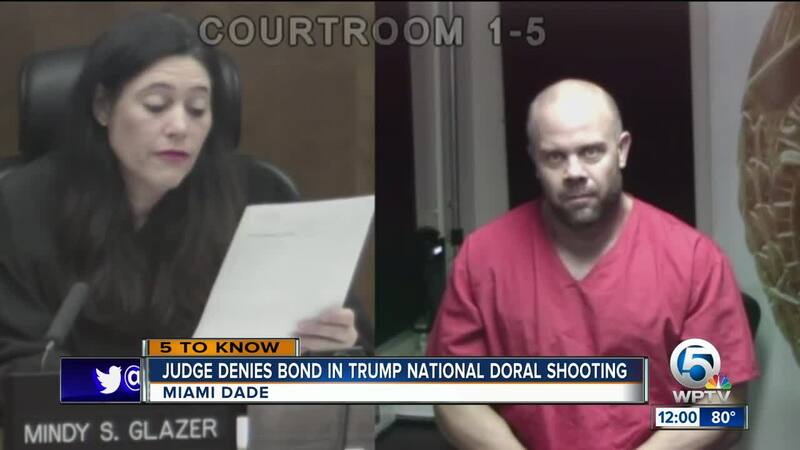 After three days in the hospital, the man who police said entered Trump National Resort in Doral and initiated a confrontation that ended with him being shot by officers is now behind bars. Jonathan Oddi was booked Sunday night by Miami-Dade Police after being hospitalized at Kendall Regional Medical Center since Friday morning – where he was taken after being shot multiple times in the leg by officers from Miami-Dade and the Doral Police Department. The 42-year-old was charged with nearly a dozen counts, including five of attempted second-degree murder along with armed burglary and assault with a firearm. The motive for the shooting at around 1:30 a.m. Friday was not immediately clear, but Miami-Dade Police Director Juan Perez said Oddi pointed his gun at several people and shouted "anti-Trump" rhetoric before waiting for police to confront him. "We don't know what his intentions were in the long term, but we know what he was doing at the time — he was trying to engage our police officers in some kind of ambush-type attack," Perez said. In plotting the ambush, Perez added, "He did succeed, and he did lose." Oddi's attorney, Rae Shearn, said her client was a fitness instructor. She said it was too early to say anything more. "I am conducting my own investigation and have no statement in regards to what occurred or what didn't occur or what may have precipitated that event," she said by phone. Neighbors and patrons of a nearby gym said they often saw Oddi lifting weights, but rarely interacted with the beefy man beyond casual greetings. Court records in Miami-Dade and Broward counties show a slew of misdemeanor traffic infractions for Oddi, but no felony arrests in his past. Oddi was ordered held without bond and told to stay away from the resort if he is released.